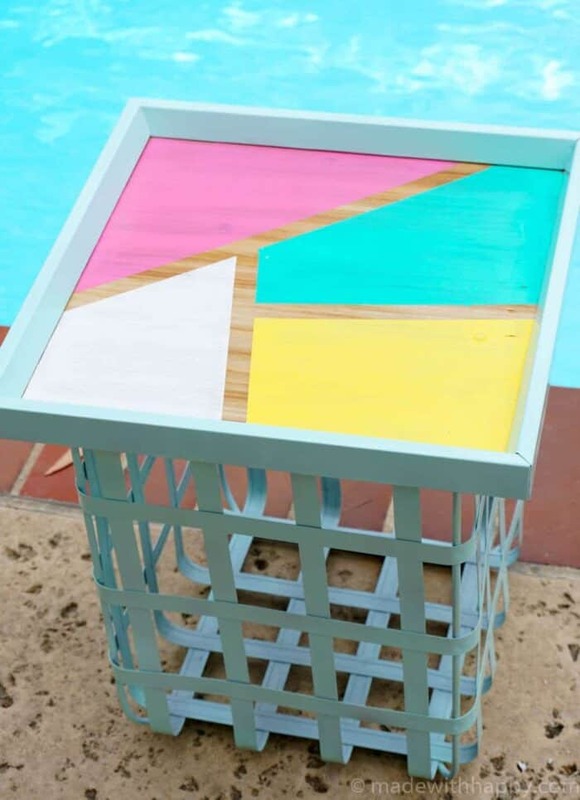 Add fun and functionality to your patio with this DIY outdoor storage table. Thank you Hobby Lobby for sponsoring this post. We have been working hard over the last few weeks to clean and update our backyard to get it Summer ready. While assessing the Winter wear and tear, we found some furniture pieces were broken, some just needed some TLC. One thing was for certain, we were definite in need of some updating. Those of you that know me, know that I love myself a good maker project. 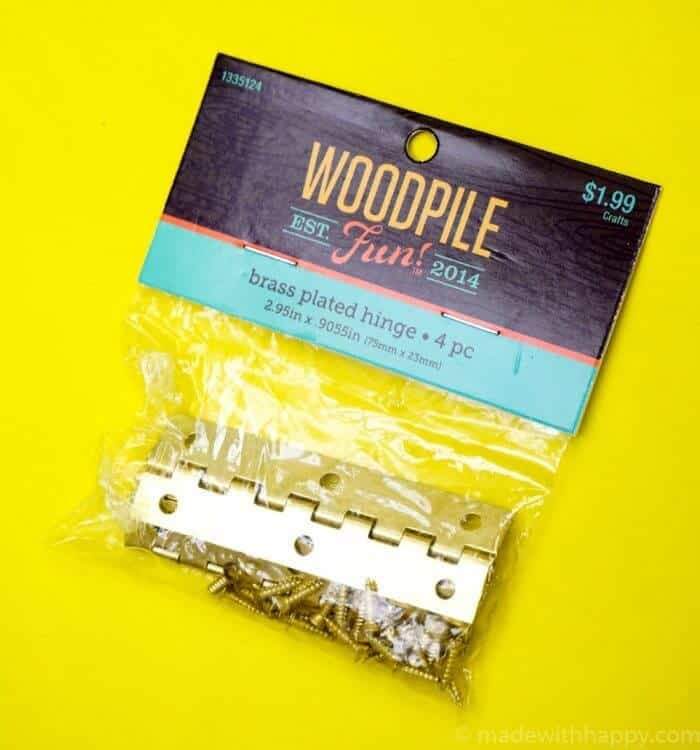 So when Hobby Lobby challenged me with making something for Summer out of their awesome Woodpile products, I was eager to accept the challenge. 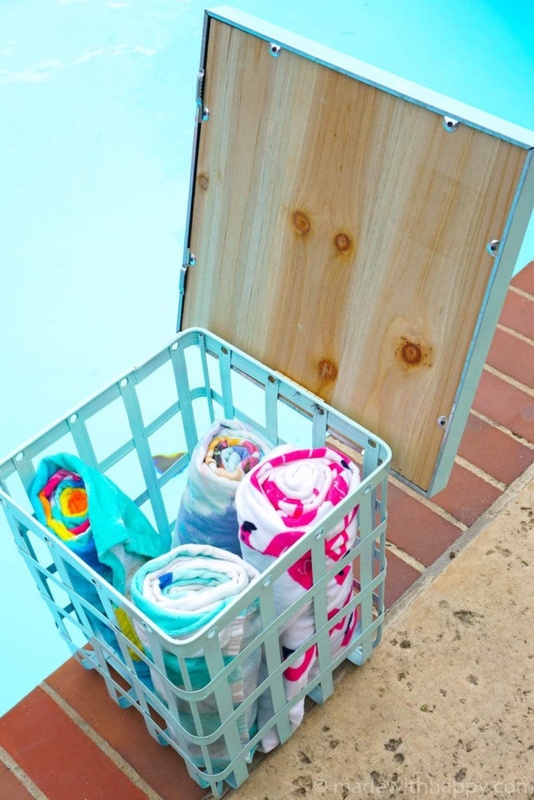 We have lived in our house for over 10 years, and every year as we head into Summer, I find myself always looking for functional storage ideas for the pool. We have our fair share of pool toys, towels, goggle, sunscreen, etc and no where to put them. Storage was at the top of my idea list when heading into Hobby Lobby. 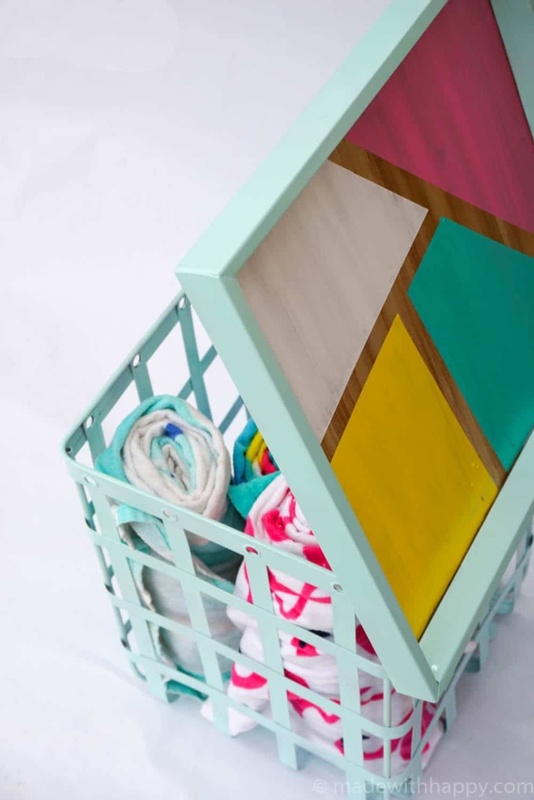 Lucky me, I ended up finding two super fun pieces that I was sure I could turn into some fun and functional for the Made with HAPPY pool. 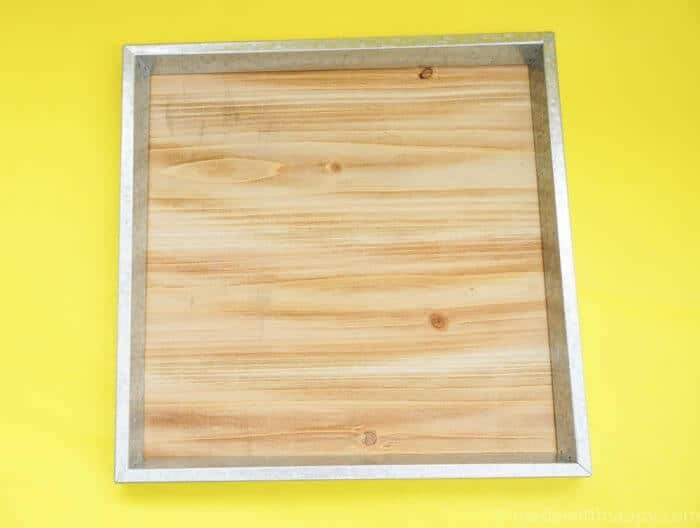 First I found this wood sign with a galvanized frame. 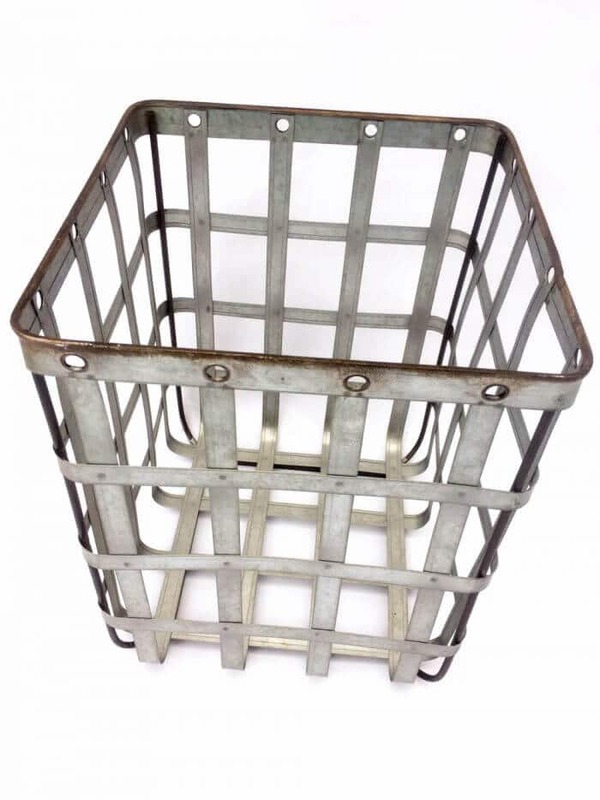 Then I found this basket that I’m I absolutely adore also made out of galvanized metal as well. I also purchased a hinge which is how we going to bring this project together. What I love about this project is that you do not have to have the bright colorful style that I prefer to create something fun. 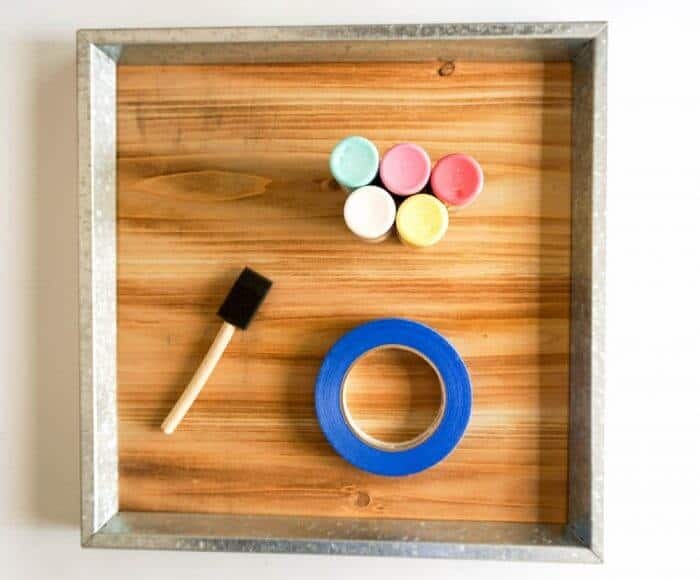 If farmhouse is more your style, simply leaving the pieces unpainted would be great as well. 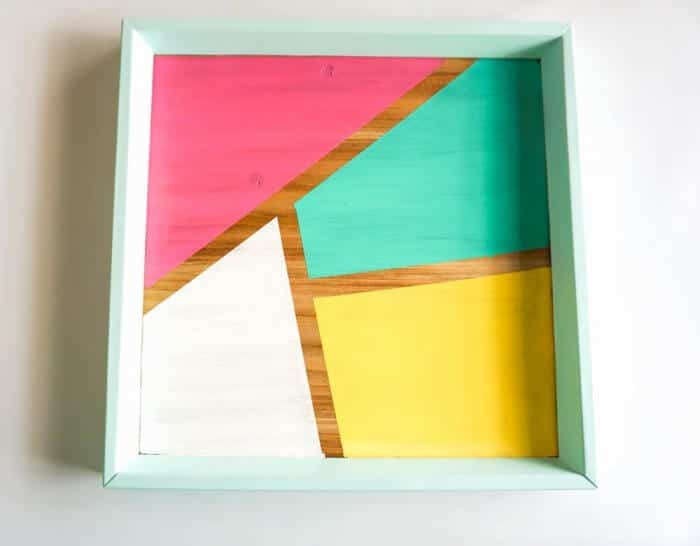 I love color, and so it is NECESSARY for me to add some color to make this project a HAPPY one. Drill – Make sure your drill bits are HSS, Titanium, or Cobalt where they can drill through metal. 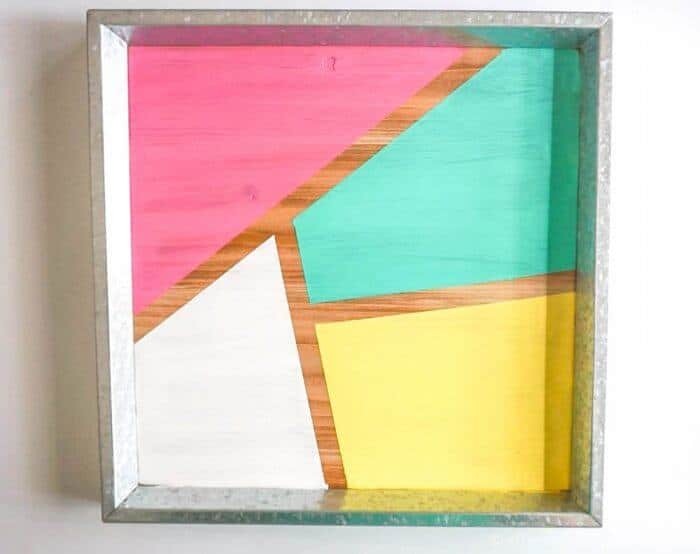 I first started by creating a color block design on the wood frame using the painters tape. 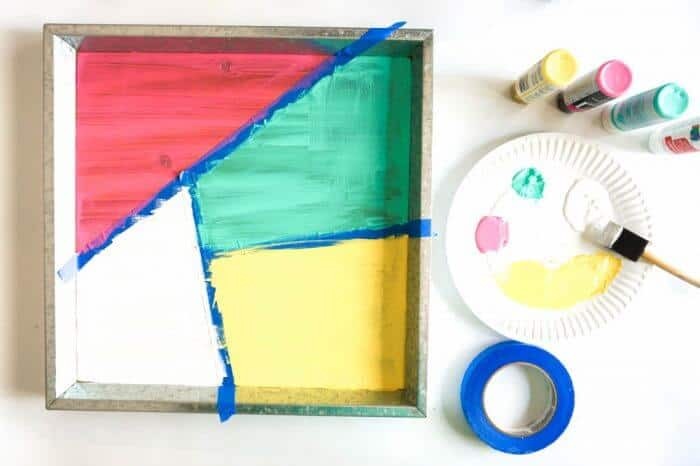 I then painted each of the sections a different color and waited for it to dry. 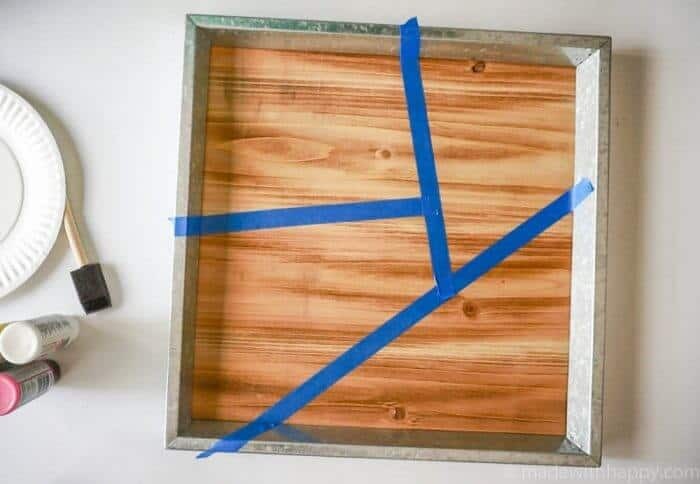 Once it is dry, remove the tape and paint or spray the Polyurethane over the top and let it dry. This is to seal the exposed wood portions and ensure it is weather proof. 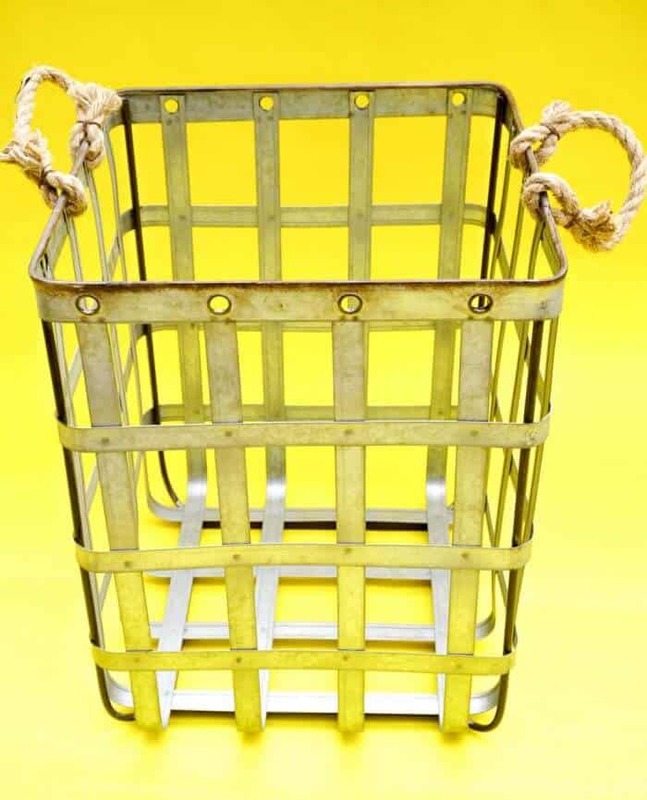 Next you will need to remove the rope handles from the basket. They were attached with a small wire twist-tie, so I simply untwisted it and the rope slipped out. 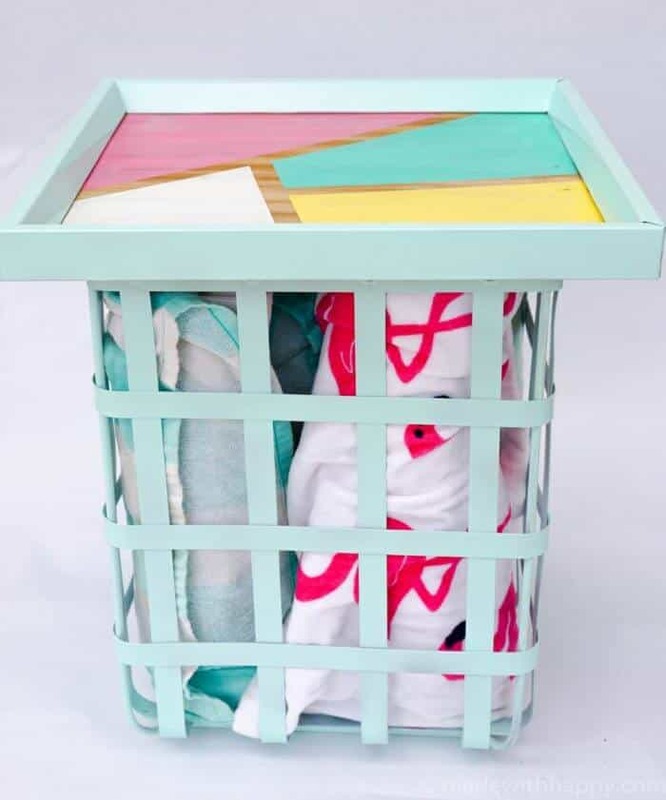 Next I covered the top of the frame with paper and spray painted both the outside of the frame as well as the basket my fun mint color. The last thing you need is to attach the hinge. 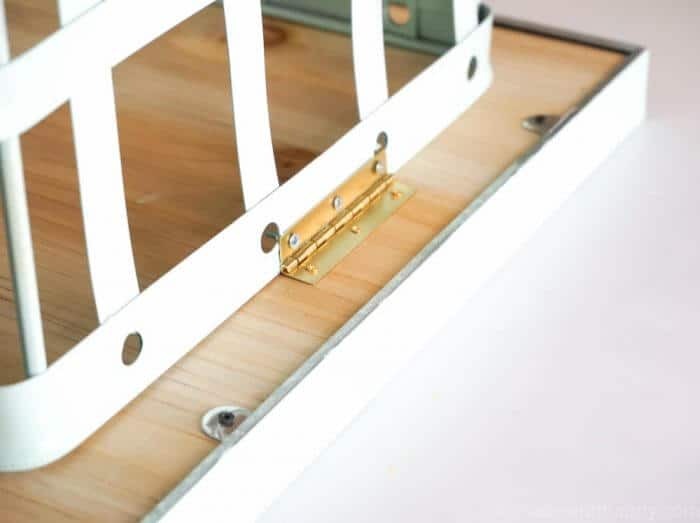 I placed the hinge on one of the sides and using a pencil I marked where the screws should go. I used the machine screws for the basket side. I used those screws because the ends are flat and will not harm anyone or anything on the inside of the basket. I then used the wood screws for the wood frame. Note: You will need the shortest screws you can find (1/4 inch) otherwise, it will poke through the top of your table, it is not very thick. 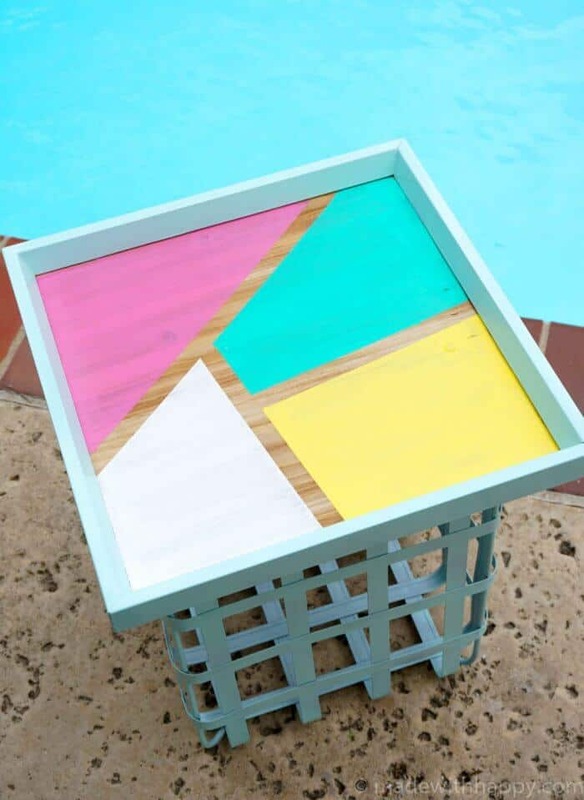 You have yourself a great new table perfect for poolside. 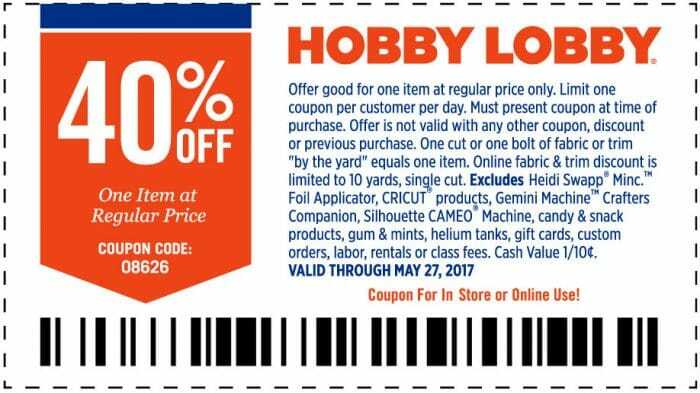 Here is a coupon for you if you decide to do some shopping over the next week.